Blubrry Offers 30 Days Free Phone Support For New Customers! 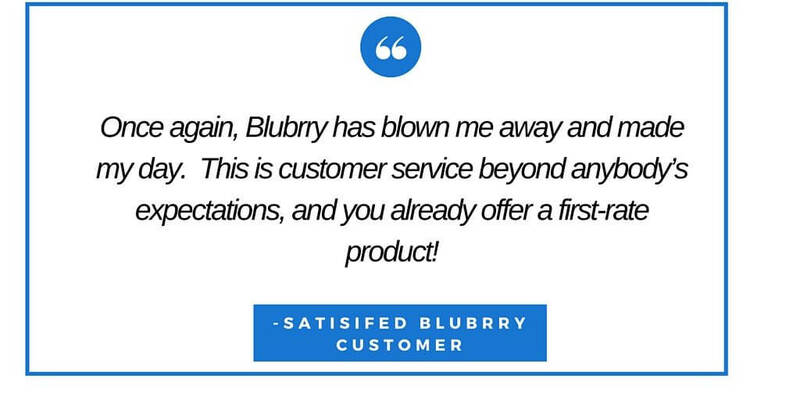 At Blubrry, we take good customer service seriously, as evidenced by a fast-growing collection of emails and Tweets praising our quick response and helpful, friendly advice. Now we want the whole podcasting world to know how great our service is, so we’re announcing a valuable new offer: 30 days of free phone support for new podcast hosting, statistics, and PowerPress Sites customers. 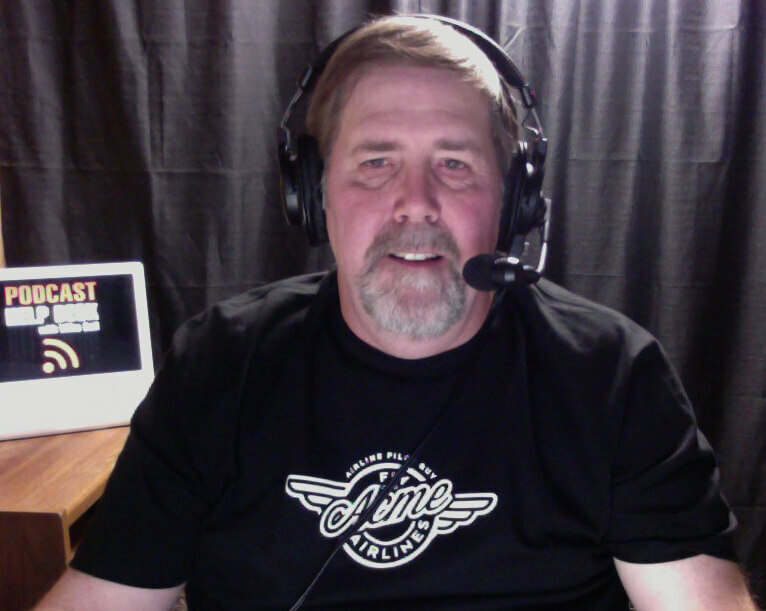 Customer Support Coordinator Mike Dell, a longtime Blubrry customer favorite, will coordinate the support calls and field technical questions that often arise when starting a podcast. “Mike is a superstar at customer support, and we’re thrilled to now have him working with us full time. He and Shawn Thorpe are often the first line of communication between Blubrry and our customers, and they’re a great asset to our team because of their professionalism and friendly, on-point advice,” says Todd Cochrane, CEO of Blubrry. While the free phone support is meant to answer technical questions and not to replace more in-depth consultations, Mike Dell will be able to answer basic questions and also explain to customers what level of service or support they may need going forward. Phone support appointments can be scheduled any time in the first 30 days a new customer holds an account with us, and will be available between 9 a.m. to 5 p.m. EST, Monday through Friday. For questions on this new support, contact Blubrry at 877-729-8642 or use our online contact form. If you’re a new customer – or thinking about becoming one – we hope you’ll take advantage of this valuable offer. 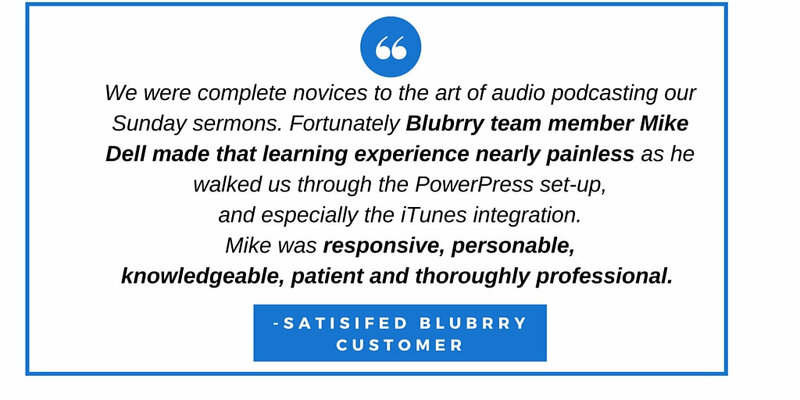 We are passionate about helping podcasters, and our team is here to help you! From the hardworking customer support techs who are the front lines when you’ve got a question or concern to the behind-the-scenes people making our services and products among the best in the business, Blubrry boasts a staff of dedicated men and women who, above all, are passionate about podcasting and want to help all podcasters create the best shows they possibly can. This is the first post in a new series featuring our awesome team members here at Blubrry! We hope you’ll enjoy getting a sneak peek at the awesome people who power our company. Tell us about a typical day at Blubrry. I spend most of my time answering support tickets for people who are having issues with our services or need help with podcasting in general. For example, maybe they can’t get a feature to work so I walk them through it, or they need help setting up PowerPress for podcasting. Sometimes I do one-on-one consulting, where I’ll do a screen share with the customer and help them get their website looking the way they want it, show them how to set up their RSS feeds, and that kind of thing. What’s the thing that causes newer podcasters the most confusion? People don’t always understand that the RSS feed is the center of a podcast. They say “I want to put my podcast on iTunes,” but podcasts don’t work that way. You have to have an RSS feed, and everyone centers around that. That can be a hard concept for people to understand. I always describe it like this: your RSS feed is like the transmitter from a radio station. Whatever radio you’re listening to a show on, the show itself is coming from the same transmitter. You’ve been at Blubrry since 2009. How have things changed in the industry since then? I started podcasting in 2005, so I’ve been at it for 11 years now. It’s completely changed. When I first started you had to be a geek to even listen to podcasts because the technology wasn’t user-friendly. With podcast apps in pretty much all smart phones and some newer cars, it’s a whole lot easier for the listeners. On the other hand, the technical side for producers hasn’t changed a whole lot – but our tools make it a lot easier. The basics are still there: you still have to have an RSS feed and host your files on a server, but once you get set up it’s easy. What makes working for Blubrry special? All of the founders of Blubrry were podcasters first. We’re grassroots. I knew most of the people involved with RawVoice and Blubrry prior to coming to work there. We’re laid back when we need to be and we get right down to business when we need to. I also love that our whole business model is based on doing what’s best for the community and podcasters first. We don’t do anything as a company that’s not good for the entire industry. We aren’t the cheapest service in town, but I feel we are the best. It’s great to work for a company where you believe in the product, and everybody at Blubrry is passionate about the product. Speaking of…tell us about your podcasts! I have a podcast called Podcast Help Desk to help people learn more about podcasting. I also do one called Geek of the North, where I take something that’s not normally thought of as technology and explain it as technology – for example, I recently did the technology of garbage trucks. I talk about snow removal, nascar tracks, all kinds of stuff. And sometimes I guest host the PowerPress podcast, and that’s a lot of fun. Tell us about your hobbies and life. I live in Traverse City, MI with my wife, dog and cat, in a 1940s log cabin about 600 yards from Grand Traverse Bay. 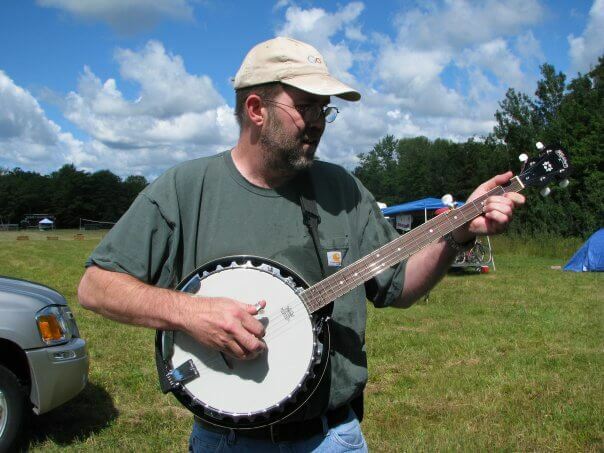 I call myself an attempted banjo player and like going to music festivals in northern Michigan. That kind of thing happens a lot, and it always makes my day.